Do you think a witness may exist for an accident you were involved in, but you don’t know how to or where to begin to look? Was your vehicle damaged in a video monitored parking area but you’re not sure how to obtain that video? Do you think you were the victim of a staged accident? 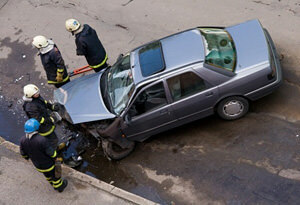 Were you involved in an accident in which the other party is now denying fault after at first admitting it? Do you suspect that an auto repair shop fraudulently charged you for services not rendered? People commit auto accident fraud to collect money from insurance companies for injuries never received or repairs never performed. Sometimes even doctors and/or lawyers collude with "victims" to inflate a claim, make it more credible and pressure insurers to settle. 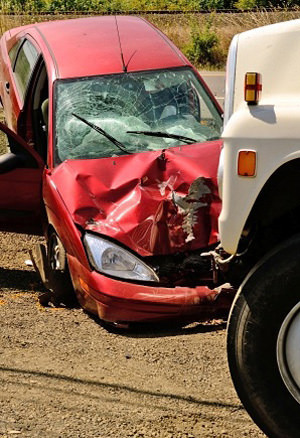 Gateway Investigations has experience in handling fraudulent claims – on both sides of the ledger – and can help determine the credibility of the “victim,” the auto body shop and/or the accident report. A stranger may approach you at the crash site, or phone you right afterward. The stranger tries to badger you into getting medical treatment at a specific clinic, repairs at a specific body shop or assistance from a specific lawyer. Be careful! It may be a setup for fraudulent medical treatment, car repairs and/or bogus insurance claims. You could be headed for trouble. Think hard before getting involved with strangers like these. Shops may offer reasonable verbal repair estimates, but then they present final bills that are far beyond the estimates. Or a mechanic may leave the estimated amount blank when you sign a repair authorization, then secretly fill in an inflated amount. A shop may pad bills by “repairing” mechanical problems and damage that didn’t exist. Some dishonest shops install parts that are counterfeit, substandard or used, but charge you for expensive new parts. These parts can give out when you’re on the road, putting you and your family at risk. Used parts are viable for some repairs, but crooked body shops will bill you for new parts but install used ones. A shop may cut corners by doing quick and shoddy work. True story: We investigated one mechanic whom we determined held car parts together with nothing more than bailing wire. True story: We set up a sting and investigated another mechanic who did no work at all, but billed a client and their insurer for a full repair job. You may have to return several times—wasting your valuable time and causing needless headaches. If you feel you may be a victim of Auto Insurance Fraud, please contact Gateway Investigations at 314-238-1367 or email at info@gatewaypi.net for a discreet consultation regarding your options.